Tony Markellis on bass and Mike on a second guitar. "Mike-O Esquandolas" lyric; bass solo. Improvised verses by Trey that led to solos by Mike, then Fish, then Page. Intro contained phrases from the previous Makisupa. In what is becoming a Father's Day tradition (see 6/21/09), the show-opening Brother featured the band members' children jumping into a bathtub on stage, followed by Trey introducing each of them and wishing everyone a Happy Father's Day. Gotta Jibboo was preceded by a "Charge!" tease from Page and featured Tony Markellis on bass and Mike on a second guitar. In Antelope, "Marco Esquandolas" was changed to "Mike-O Esquandolas," followed by a Mike solo. The end of Wilson contained a Dixie tease from Trey. In place of a traditional Makisupa keyword, Trey improvised verses that set up solos for Mike, then Fish, then Page. The subsequent Piper intro included repeated phrases from the Makisupa ("Policeman," "House," and "Listen to Mike"). Trey quoted Whole Lotta Love in the vocal jam of YEM. Page performed Frankenstein on keytar. This show was part of the "2010 Early Summer Tour"
Amazing show, you could really tell the guys were not only feeling the energy the audience had but were having fun giving it back. There were no "bathroom break" songs which was bad news for my bladder but heaven for my ears. From Page hamming it up on Lawnboy, Tony Markellis sitting in on Gotta Jibboo to Trey's freestyling on Makasupa, it was one of the finest Phish shows I've ever seen and easily the best so far this summer. There were many "outer limits" jams throughout the night, Piper was dark and scary, 2001 was an assault on the ears as were Antelope and YEM's peaks. The standout song for me, and the one I've been listening on an almost constant loop is Trey's "Sleep Again". 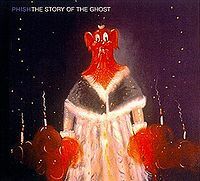 I'd never heard it live before and it just feels so good, it was clearly written to be played with Phish. The main lick is so damn catchy I was humming it the whole ride home and have been trying to pick it up on my guitar since. A Frankenstein encore with Page on keytar, awesome! The bottom line is is that this is a great show and worth picking up and listening to from beginning to end, the flow from song to song is perfect. My only complaint is that it was a Sunday show and I had to work at 8 the next day, so that makes it a 4.99 out of 5 in my opinion. Great show! The boys are doing great things with Undermind as a live tune! 2nd set overall was sick! 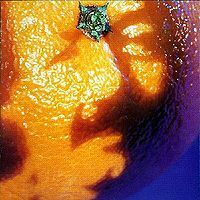 (I like the mango song, but it was a strange transition for me after a dark, heavy energized Carini). Second Set: Happy Father's Day to me! What a gift. Wow. *I did not attend this show. 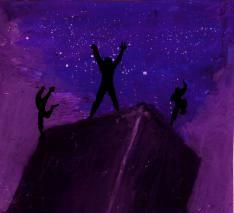 This is based on my listening experience from a livephish download. -Brother: great opener, well played, cool to hear trey introduce phish kids at the songs end. 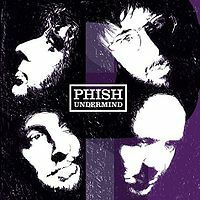 -Undermind: Awesome choice and continues some of the energy Trey was reaching towards the end of BOTT. Really rocked it out. -Roggae: Great way to continue the mellow vibe of Jibboo, and Mike really stands out in the beginning of jam with several bass runs. Fishman also throws in a lot of drum rolls and keeps things interesting. The whole band reaches a collective peak around 7:45. Solid version. -Sleep Again: Never heard this song before, its not bad. The jam starts around 4:00. Very beautiful and Page stands out here. He plays some pretty melodies on his piano while Trey plays long heavenly notes in between a repeated riff that is sort of a focal point throughout the song. I really enjoyed this, mostly because it was unique to me but also because the ending jam is very pretty. 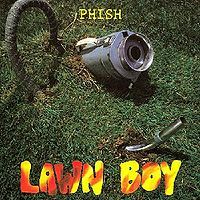 -Lawn boy: Always a fun song, and Mike sounds great. Standard. -Run Like an Antelope: Mike stands out in the 'prancing' section of the song, then Trey and mike really rage during the rock jam (especially around 6:30, when trey really packs the heat). The build up to the funk section with the lyrics is pretty intense and once the funk begins Mikes bass is booming. Not a best of, but still great fun and awesome! There were 13 tour debuts. Really enjoyed the 1st set... Lots of “Songs” vs. Epic offerings.... That didn't stop the Antelope from running way out of control… Finna R.U.N.N.O.F.T. 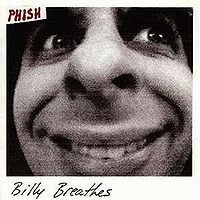 Makisupa = No Key Word... Trey improvised lyrics giving Mike, Page, & Fish solo opportunities. Piper was BIG & Scary ! -Mango Song: This was a decent transition. 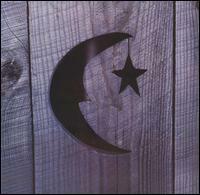 The floating and mellow lyrics of this song deliver us from the darkness of carini. Well played, and the typical instrumental section that ends the song (last 1:30 of the song) is very nice... Page and Trey played off each other quite well here. -Wilson: Good move to get the energy back up, and rocks as per usual. Nails the standard format, and at the songs end you hear the Dixie tease from Trey. -Swept Away>Steep: Wonderful transition from previous song, and nice rarity. Both are well played and make the ambient beauty of the previous jam more meaningful. Excellent placement for these songs. The instrumental section of Steep is pure bliss. -Makisupa Policeman: Another good song placement. The blissful sounds of Steep give way to the happy, bouncy reggae of Makisupa. 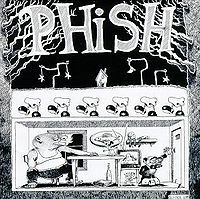 Lots of goofy phish humor. Trey's improvised lyrics bring smiles and allow each of the other band members to have a short solo. Fun stuff! -Frankenstein: Good way to close out a two night stand. Hard psychedelic rock. Overall: The big highlight from this set has got to be Drowned through Makisupa Policeman. The Drowned jam was high energy, the band kind of all melted together nicely, and the ambiance it died down into setup the Swept Away>Steep very nicely. Makisupa was just fun! What a great show. I just relistened to Roggae and was blown away. This is the best version of this song I've ever heard! The jam is insane, and flawless, and awesome! Time to go back and listen to the rest of that show! This was a really fun show and I preferred it immensely to the previous night. While it may not have featured any ferocious 20 minute jams (though the Drowned jam is worth checking out), it did feature tight playing, good flow, and what I thought was phenomenal song selection throughout. I couldn’t really ask for a stronger first set. I know for one that there are a lot more dads in the audience than there were in the late nineties--because I'm one of them--and there was something really kind of poignant and fitting about the Brother opener with all the kids on-stage. I know they did it last year, but the energy and good vibes in the place from the opener onwards really just set the tone for what I thought was an incredibly strong and fun opening segment, with nary a groaner in sight. Didn’t hear a single person call a Cities all weekend, or a Roggae for that matter, and Back on the Train, Jiboo, Antelope all smoked with high energy, focused playing, great tension and release without any aimless noodling. Would I have liked that Carini to keep going for 20 minutes? Sure, but it certainly sounded *smoking* for however many minutes it was going for. (Fish and Mike just slayed this thing). But I’m not one to complain about a Mango Song. Or a tightly woven Makisupa->(Policeman)Piper->2001>YEM, for that matter. Go and listen to the first of Trey’s two “note” peaks from YEM, the one before he just holds it, where he plays a quick little solo/riff. That was perfect on this night; heartfelt, tight, soaring and unique, and the reason it’s still worth going to see them, even if they’re not doing the whole Seven Below->Ghost->Twist, YEM thing anymore. you could really tell the guys were having fun on stage and enjoying ever minute if it. this is particularity evident during makisupa police man. unfortunately being a younger fan, i was restricted from phish shows by my parents, but ive got 6 shows under my belt in the past 6 months and i love every minute of it. this band is and always will be my favorite band. share in the groove errrrbody. Amazing energy all the way through. The boys are locked in the groove and are only getting better as 2010 Rock n' Rolls on, expanding their jams to new levels and heights. It's safe to say that everyone at SPAC this past weekend feels closer to the band and each other than ever before. This band continues to outdo itself and I can't wait for my next experience with them. The 20 min. drive from my house to Camden is going to seem like an eternity, but once we're all there, be ready for Phish to make waves on the Delaware River. Show #17, what a ride! Set 1 was a great warm up, Antelope REALLY set the pace for the remainder of the night, though. 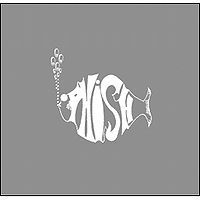 Great juxtaposition of Carini > Mango, a mid set Wilson that set the stage for an assault of Drowned...then, what, Swept Away? Had you told me one of the highlights of the night would be this song, I'm not sure I would have bought it, but what an amazingly tight, engaged and poignant piece. I was entranced throughout. Then the band just let loose with raging Piper, 2001, sick YEM w/ what I would call a duet by Trey and Mike, no real leader during that "solo." Frankenstein was a perfect finale as the band effortlessly nailed the composition. This is just one of those shows where the energy of the band and audience just wouldn't quit. Being smack behind the soundboard didn't hurt, either, as the neighbors around my wife and I were all feelin' it! This band is on fire! Fantastic show. The set list is incomplete. They played a bangin 2001 during the second set.